The New England Patriots are never to be counted out. Certainly everyone has heard the countless interviews of Tom Brady being asked whether or not he will be returning for next season after this year’s Super Bowl. “Zero chance,” he told Jeff Darlington on retiring after this game and “I don’t envision me not playing,” was told to Jim Gray. The obsession with Brady’s age has taken a big part of the stage this season. Meanwhile, there is a game to be played in Atlanta today. Let’s try and focus on that before the retirement questions start taking over. There is nothing more to say about the Pats that has not already been said. Defense is still a weakness for them. Pressure on the offensive line to get to Brady is a must for the Rams. Stopping him in the pocket and getting him off track will be their best bet. The running game is looking more natural now with Sony Michel and James White. Early in the season, it was a struggle against teams like the Jacksonville Jaguars, Detroit Lions, and Tennessee Titans. Julian Edelman was not available for the first four games. With him back and playing along Phillip Dorsett, Cordarelle Patterson, and Rob Gronkowski, the passing game has also taken shape. It comes down to Coach Bill Belichick honing in on L.A.’s weaknesses. He is the master at artfully destroying his opponent at their own game. In spite of the “no call” in the NFC Championship game, who really thinks that the Los Angeles Rams do no deserve their shot in the big game? The time for arguing that point has passed because guess what? They are playing for the Lombardi no matter what anyone believes. Jared Goff will have to be focused and not blinded by the lights. Where Tom Brady and company have been here and done that, he has not. This will be completely new. The talk about whether or not Todd Gurley will be utilized is loud. He was rarely used while C.J. Anderson got more of the action. There did not seem to be anything wrong with Gurley, so questions were being raised. Both are going to be needed to assist in getting the win. With the McCourty twins and Patrick Chung in the secondary, throwing to Brandin Cooks and Robert Woods could prove to be a challenge. The Patriots do not boast the best defense, so it is possible for Goff to take a second to make sound decisions with the ball, unlike when they were up against the Chicago Bears’ defense. The Rams’ defense is going to be the key factor in whether or not they can take home the trophy. Aaron Donald needs to get at Brady as often as possible. Ndamukong Suh, Michael Brockers, Micah Kiser, Marcus Peters, Aqib Talib, and Nickell Robey-Coleman (yes, that guy) have to slow down the Pats on the ground and in the air. This is the defense’s time to shine for the Rams. This is the pick and I am sticking with it. It does pain me to make this choice, but it must be made. Weighing the two teams in situations like this was difficult. There are positives and negatives on either side. The New England Patriots had a bit more upside to me. Let’s see how my final pick of the season turns out. Thank you all for following me this season. Look for my recap next week of the entire season. We have so many projects coming up so please check us out on social media and the website for updates. Good luck to your teams and picks! What a disappointment last weekend was for me! I managed to get one game right. 1-3! For a playoff total of 3-5. That is not good at all. Defense seemed to be the culprit in all of the games lost. It was hard to watch the Colts and the Chargers lose in that fashion. It was defense, or lack of, for all of the losing teams. This Sunday has the potential to be offensive, but I believe it will come down to defense. They say that defense wins championships. The top two teams in both conferences will battle it out to see who will fight for the Lombardi. Follow along to see what my thoughts are. 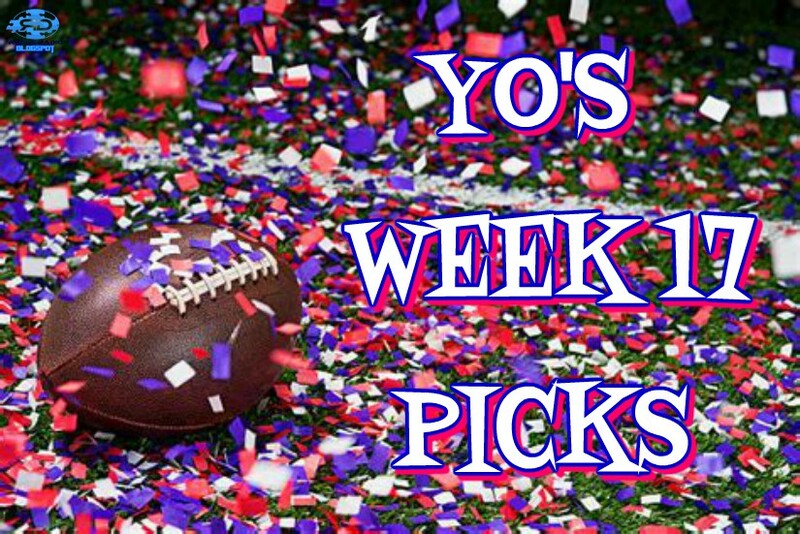 Week 6 gave us one of the best games of the 2018-19 season. It was completely offensive with the Patriots winning 43-40 with seconds left on the clock. There is no way that that will happen again today, but just knowing the potential is there for it to happen makes this a highly anticipated game. Some will say it is Old vs Young. That may only be from the players stand point. On the coaching end, these coaches, Bill Belichick and Andy Reid, have been here before. One more than the other, but experience does not escape wither one of them. Belichick has a way of finding a team’s weakness and exploiting it. Reid has a way of having a fantastic regular season only to be forsaken in the post-season. Belichick has had Tom Brady. The perfect combination for eight AFC conference appearances and five Super Bowl wins. Reid now has Patrick Mahomes. The best chance Kansas City has had in years to win an AFC championship and play for the Lombardi. The weather is the biggest talk of the game. It is predicted to be in the 20s. This should keep the scoring at a reasonable level. Time will be taken because the loser does not play next week. The Pats are going to have to get Mahomes off balance in the worse way. Not just the typical way because Mahomes is at his best throwing on the run. New England’s secondary is going to be their first line of defense. They have improved in that area since the last time these teams met. J.C. Jackson, Jason McCourty, and Stephon Gilmore will be called on to cover Tyreek Hill, Travis Kelce, Chris Conley, and Sammy Watkins. The real challenge will be to stop Mahomes’s quick throws after the snap. He makes those passes into tighter windows not giving the defense time to adjust. On the offfensive side of the ball, the Patriots have made several adjustments to complement the veteran players like Julian Edelman and Rob Gronkowski. Running backs Sony Michel and James White have been pounding the ball through defenses. They do not just run the ball, they catch it too. Their running effectiveness will certainly be tough on a run defense ranked last in the league. The Chiefs are the number one seed. They are playing at home. This is their time. They are the team that everyone is hoping will put an end to the Patriots run. It will stem from whether or not Mahomes makes any mistakes. Week 6 was long ago now. Just as the Pats have improved in some areas, so have the Chiefs. Those changes come on defense, where they most needed it. They have Eric Berry coming back to play. A full week of practice has him feeling pretty good coming into this conference championship game. Stepping up is Dee Ford, Justin Houston Chris Jones, Derrick Nnadi, and Allen Bailey. If they play up to their potential, they may make the Pats think twice about running the ball. There are no secrets on offense for Kansas City. One of the quickest players on the field will be Tyreek Hill. A perfect match for the quick release of Mahomes. It will be hard for New England to shut down that connection down field. This is a tough one to pick because the experience of Belichick and his ability to make adjustments during the game is second to none. The Chiefs are home and Andy Reid is bit tired of losing to Belichick. Both teams have learned about one another in the weeks since their first meeting this year. Most folks want to see the Patriots go down. Let’s see if it happens. Definitely expect to see a good game. Here we have another rematch of a regular season game. This time it is the week 9 rematch. The Saints won 45-35. That gave the Rams their first loss of the season. The Rams have since struggled a bit on offense. Quarterback Jared Goff has not been stellar the last few weeks. This could be because he was without his star running back, Todd Gurley, for the last two weeks of the regular season. Not that C.J. Anderson did not play well in the interim. Goff just needed time to adjust and get used to the new target. The Rams have a solid offensive core. There is Brandin Cooks and Robert Woods who each had 1,200+ yards receiving a piece. Tight ends Gerald Everette and Tyler Higbee are also popular targets for Goff. If the offensive line holds up, L.A. could be right in there. Aaron Donald is a key part of the defense. He will try to get at Drew Brees as often as possible. With the help of Ndamukong Suh and secondary help from Aqib Talib, the Rams should be able to disrupt the Saints offense. Stopping Alvin Kamara and Michael Thomas will be a huge part of what the Rams defense will have to do on Sunday. Drew Brees is the history maker this season. The Saints are the team that has something to prove in this contest. They too are the number one seed. They are at home. The last time they had home field, they were raising the Lombardi. No doubt that the Saints can be a scoring machine. The theme of defense runs here as well. New Orleans will have to play steady on defense to get over in this game. Cameron Jordan, Marshon Lattimore, and Demario Davis will have to stop Todd Gurley and company. The Rams defense is tall though. This may pose a problem for the not so tall Brees. Seeing over them and trying to make plays will be a challenge. Alvin Kamara and Michael Thomas will have a time moving the ball down field. There will be tight coverage from Aqib Talib and Marcus Peters. Brees will have to see the breakdowns and take advantage when the coverage allows. Anywhere the Rams defense double teams, there is a man open for a play. Timing will be everything. Sean McVay and Sean Payton can expect to coach a highly anticipated matchup. The Rams are the underdogs, so McVay will have to prove to everyone that they are wrong and get over the playoff hump. Payton has to prove that the Saints are worthy of the number one spot and a chance to play in the Super Bowl again. This is the game that will come down to the last play or second. Another tough decision on who makes it out of this one and on to the big one. Gotta love the playoffs. Decisions, decisions! It was difficult to chose winners for the two games today. All are more than deserving and all will be exciting to watch in the Super Bowl. I look forward to enjoying the games to see who will move on. Young vs. old. Defense wins championships. Good luck to your teams and picks! On this episode of #PEACEOFMIND Viv is joined by her friend and fellow activist Reuben Chavez. The two discuss the case of Eduardo Samaniego, an undocumented activist who has been detained by ICE for over 90 days over 27.00 dollars. They also share their experiences from the Indigenous People March hosted by the Indigenous people movement in Washington DC. The two come to the realization that America's greatest president wasn't so great after all thanks to Mark Charles lesson: We need to teach our colonizers their own history. They also touch on the Nathan Phillips incident and how Great grandmother Mary Lyons stole the hearts of the crowd. Give it a listen, like and share. Special shout out to one of our past guest Hope Butler for opening the rally with her beautiful voice. 2019 is the year we JUST DO. On this year's first episode Vivian talks about her goals for Peace of Mind, new ventures for the ROCKDEEP family, and taking your health seriously by putting your money where your mouth is. Vivian's back with her latest episode of PEACE OF MIND. She is joined by her friend Scales about her recent arrest, how activist are being silenced around the country, and how the fight must continue to protect our right to free speech. Viv is joined in the studio by producer Mike Lunsford, her ride-or-die Rueben Chavez and activist/community outreach specialist Alex Dixon. They discuss how to overcome your fear of speaking out, the Junior Guzman case and how to get active in the community. Recorded live at the FXBG Public Radio Studios in Fredericksburg, VA on Saturday July 14th, 2018. On the latest episode of PEACE OF MIND, Viv has cohost of ROCKDEEP ROGUE RADIO Mike Lunsford and Jeremy Lee along with guests Marc Lutz and Renee Maher on to talk about Religion and what Viv has learned during her time participating in Ramadan. Did you miss the last episode of Peace Of Mind? Dont worry... be happy, because you can listen to in right now just by clicking on this link. Viv has guests Claudia Rojas, Alejandra Pablos, and Michelle Dauphinias Echols on to discuss their projects to help people of color get justice. Vivian has special guest Keevin Collier, Sr. from Carbon TV's hot show N.O.D.R on to talk about a disease that plagues them both, but has inspired them both to become activists. They also discuss how they choose to relieve pain and stress: eating right, cannabis, and fishing. Eddy Lepp joins in to give us the scoop on where the term 4:20 comes from, and his hopes for the sacred plant and everyone partaking in this weekend festivities. Viv also talks about this attending this weekend National Cannabis Festival in the Nations capital. Recorded April 18th, 2018 at the FXBG Public Radio Studios in Fredericksburg, Virginia. This episode of #PEACEOFMIND is dedicated to Alejandra Pablos, a nationally recognized immigrant and reproductive rights activist, who is currently being illegally detained by ICE agents in Arizona. @ROCKDEEPROGUERADIO will continue to keep you updated on her case. We love you Ale!!! Please sign this petition and help us get her released. Recorded at the FXBG Pirate Radio Studios in Fredericksburg, Va on March 7th, 2018. Viv is joined by the Reverend Eddy Lepp for a special remembrance of the one and only Dennis Peron, another legendary marijuana legalization activist and close personal friend. Recorded February 8th, 2018 at the FXBG Pirate Radio Studios. Viv is joined by the head of Virginia NORML Jenn Michelle Pedini again to talk about the recent passing of the Medical Marijuana Bill in Virginia. Recorded at the FXBG Pirate Radio Studios February 7th, 2018. Frigid is what the weather will be in Foxboro today. That will be the first thing that the Chargers will have to overcome today. Getting over the stats will be another issue that they will have to overcome. Phillip Rivers has yet to win a playoff game. He is 0-2 in that category. His only win in six regular season meetings came against Mark Cassell as he filled in for the injured Tom Brady back in 2008. Needless to say, he will be looking for his first win against Brady and the Pats. Last major issue to overcome is running back Melvin Gordon not being 100%. Rivers does have other great offensive players like Keenan Allen and Antonio Gates on the receiving end of the ball. Defensively, a healthy Joey Bosa is always welcomed. He can make Brady uncomfortable and throw of the Pats offense: much like he and Melvin Ingram did to Lamar Jackson in Baltimore last week. Just admit it. Tom Brady is not the Tom Brady of old. With that being said, he is still managing to get it done. Getting Julian Edelman back gave the offensive a boost since Rob Gronkowski has been a bit injury prone this season. The big factor for the Patriots is whether or not the defense shows up. When they do, it makes for a well-rounded football team. J.C. Jackson and Duron Harmon in the secondary have been playmakers on defense. Even though it may not look like the Patriots are playing average ball, there is nothing exciting outside of the usual Brady and Belichick tandem. L.A.’s pass rush will keep New England on their toes. The Chargers need to make sure that the offensive line can protect RIvers. Beiichick will find a way to exploit any weakness that the Chargers have. A couple of weeks off may have done the Patriots good, but the way the Chargers played last week gives them the momentum going into this week. Expect a great battle. What a win last week for the Eagles! Philly manages to play more fluid with Nick Foles in charge. 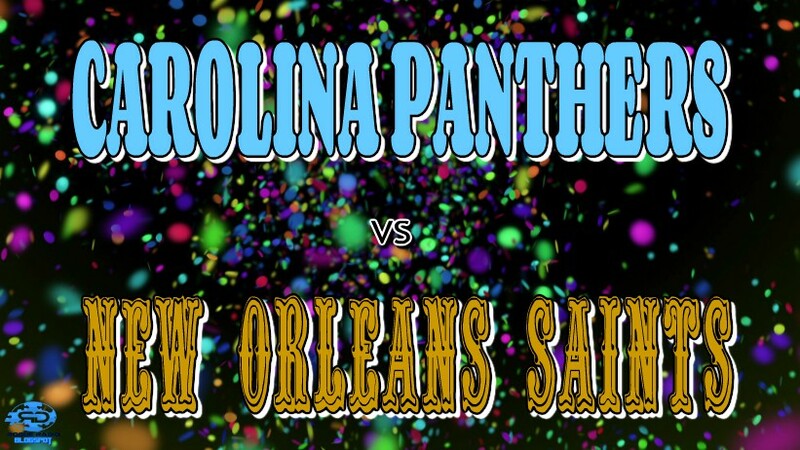 Philadelphia is looking for a little revenge against New Orleans after suffering a 48-7 week 11 loss to them. With four playoff games of 100+ passer rating, count on Foles to spread the ball around. Look for Alshon Jeffery, Nelson Agholor, Golden Tate, and Darren Sproles to get targeted according to what the Saints defense will put up. As in the Chicago game, Tate could be the difference maker or whomever may be covered by Eli Apple. The Eagles have had secondary problems this season, but Avonte Maddox and Rasul Douglas have turned out to provide the much needed coverage. Fletcher Cox, Michael Bennett, and Malcolm Jenkins will also play a major part in the pass rush to keep Drew Brees on the run and Kamara and Ingram from long yard plays. New Orleans has had plenty of rest. They are going to play the game they should have played last year in the playoffs. The Minnesota Miracle busted all those bubbles for the Saints. Drew Brees has a list of accolades, but does that help him defeat the defending Super Bowl Champs? It is definitely something to keep in mind. Offensively, there is Alvin Kamara and Mark Ingram. The offensive line has allowed the second fewest sacks this year. There really is not an issue with offense though. Cameron Jordan, Demario Davis, A.J. Klein, and Alex Anzalone are going to have to play up to the offense. Philadelphia did not seem to have a problem with Khalil Mack and the rest of the Chicago defense last week. Ultimately, New Orleans has home field advantage and has used it to their benefit all season. If the Saints defense can cause Nick Foles to make mistakes, they can easily take advantage of Philly. If the Eagles can get to Drew Brees, they can change the course of the game. This will be a true test of both teams as one is defending their title and the other, with their history making quarterback, is trying to win another. These playoff games are hard to determine. Such great match ups this season. I am crossing my fingers that I chose wisely. How are you all feeling about these games? All we can do is wait and see. Good luck to your teams and picks! I did not get the NFC games right this past weekend. So, I am starting the post season 2-2. Not too bad, but I will try to improve on that this weekend. Indy is looking pretty good. Honestly, I do not think that Houston was prepared. Seattle did not get on track early enough and just ran out of time. Dallas moves on. The Chargers proved that they belong. Baltimore now understands why rookies do not do well in their first playoff games. Chicago. MAN! Heart breaker. Philly looks like they might make it back to the final dance. Great wild card games though. Here is what I believe will play out this weekend. The Colts are no strangers to meeting the Chiefs in the playoffs. As a matter of fact, they are 4-0 against the Chiefs in the playoffs. Two of those wins were in Kansas City. The Chiefs defense is not awful. It is the secondary that Andrew Luck should be successful against. This will give Eric Ebron and Mo Alie-Cox plenty of targets. Indy’s offensive line should give Marlon Mack, Nyheim Hines, and Jordan Wilkins a clear path for running the ball. The Colts defense will have to play their A-game against the pass. Also, they have not allowed a running back to get 100 yards this season. Finally, Indy has nothing to lose. They were not even expected to get this far this season. Kansas City has one of the most dynamic quarterbacks in the league in Patrick Mahomes. He is throwing to Tyreek HIll who had 87 receptions for 1,479 yards and 12 touchdowns; and Travis Kelce who has 103 receptions for 1,336 yards and 10 touchdowns. The loss of running back Kareem Hunt hurt. Spencer Ware and Damien Williams have filled in nicely though. Ware has been out with a hamstring injury for the past few weeks, but should be returning for this game. Defense for the Chiefs has not been exceptional, but they are tied for the top spot in sacks. Their front seven will be going up against an offensive line that has only allowed 18 sacks this season. A challenge for Kansas City. This is going to be a close game and could come down to the wire. Indy has the more rounded team on both sides of the ball. KC has the true offense advantage with Patrick Mahomes behind center. Andrew Luck will have to play smart and take advantage of every weakness that the Chiefs show. History is with the Colts. Dallas has been proving themselves quite worthy of being in the post season. It is their defense that will keep them in the game for the most part. Their ability to stop the run is key against a team that loves to run. Demarcus Lawrence, Leighton Vander Esch, Jaylon Smith, and Byron Jones have managed to be effective in holding teams to 3.8 yards per carry and stopping teams in the red zone. This does not take away from the offense though. Ezekiel Elliott and a receiving core led by Amari Cooper has challenged the best of defenses. Dak Prescott may find himself on the run if his offensive line cannot contain the Rams’ Aaron Donald. The opportunity to get back at the Rams for the loss they were handed in week 4 in 2017 is alive and kicking. Having two weeks off makes a big difference. Let’s hope it is for the good. The Rams need to get past one win and further into the playoffs to be taken seriously in the post season. Jared Goff was not that great the last few games of the season. Hopefully, this is not indicative of how he will play this game. His favorite person to hand off to, Todd Gurley, should be back 100%. Throwing out to Robert Woods is another plus. The offensive line is going to have to step up to protect Goff in order for him to get the ball down the field. The Rams run defense might get them caught up. They are not very good against the run. Aaron Donald, Ndamukong Suh, and Michael Brockers are amazing, but they have not been up against a team that likes to run the ball as much as Dallas does with Elliott. The pressure will be on them. The Rams will be faced with a few challenges that could cost them the game if they do not address them during the game. They need to defend better to keep Elliott at bay. They will need to extend the coverage on Cooper and Prescott to keep the ball from coming down the field. Dallas has a bit more of the advantage here. They have an elite run defense that can stop Todd Gurley, who will be a big part of the Rams game plan. They even have a great pass defense that will give Goff a run for his money. Coaching will be a big part of the scheme as well. Sean McVay is looking to progress in post season play and Jason Garrett is trying to possibly keep his job in tact. A close game is what this will be. Almost to close to call. I am a little nervous about these picks. I have to admit that to you all. It is do or die in the post season. I went back and forth on both of them for a couple of days. Here goes nothing. Good luck to your teams and picks! The second set of wild card games will be played today. If yesterday’s games did not wow you, these will certainly try. The countdown to the Lombardi is just getting started. Let’s see how the next four teams match up against each other. The Los Angeles Chargers have had a hell of a season. They are never to be counted out. Quarterback Phillip Rivers is looking for a ring. Passing for 4,308 yards and 32 touchdowns says a lot. Most of those yards go to Melvin Gordon with 175 carries for 885 yards and 10 TDs and to Keenan Allen with 97 receptions for 1.1196 yards and 6 TDs. It helps to have a few other weapons in Austin Ekeler, Justin Jackson, and the veteran Antonio Gates at the ready for adjustments. On defense, a healthy Joey Bosa is great with the pass rush. Rookie Derwin James is coming along a promising defender as well. This has proven to be the right recipe for a 12-4 season. In Baltimore, the rookie quarterback Lamar Jackson will lead his troops into battle. He will be the youngest quarterback in a playoff game at the age of 21. He is 6-1 as a starter. He is mobile and makes plays on the move. With targets like John Brown and Willie Snead, Jackson will have no trouble airing the ball out. On the ground, Gus Edwards is the number one guy with 137 carries for 718 yards and 2 TDs on the season. Kenneth Dixon is there to move from sideline to sideline when Edwards struggles. There is no introduction needed for the top rated Ravens defense. Names like Terrell Suggs, Jimmy Smith, C.J. Mosely, Brandon Carr, and Eric Weddle stand out. A young Marlon Humphrey is a name for the contiuing future of the Ravens defense. Last meeting between these teams was just a couple of weeks ago in week 16. Baltimore won that game convincingly in a 22-10 beating of Los Angeles. Even with the Chargers traveling from the west coast, do not expect them to lose again. Chargers head coach Anthony Lynn is not on the top of any coach rankings. He and Philip Rivers will get a game plan together to ensure a win. For coach John Harbaugh, things will be the same only with the added angst of starting a rookie quarterback. Rookie QBs do not fare well in playoff games. Defense wins championships they say. It is going to come down to the last play to decide this game. Oh boy! The Philadelphia Eagles appear to be in the same situation as last year at this point. Nick Foles is back as the starting quarterback. Although he is questionable with an upper body injury, fans are hoping for the same magic as last year. It will be difficult with a rash of injuries to the roster. The upside is the players that are on the field are making things happen. Down field there is Alshon Jeffrey with 843 receiving yards and six TDs, Nelson Agholor with 736 yards and four TDs, ad Zach Ertz for 156 targets, 1,163 yards, and eight TDs. Running the ball is Josh Adams with 511 rushing yards and three TDs and Wendell Smallwood with 364 rushing yards with three TDs, 230 receiving yards with one TD. No shortage of offense there. Philly’s defense is the big question mark here. The secondary has to be one of the most injured secondaries in the league. Not being able to cover will hurt them gravely. Chicago is not going to let this one slip away. Young Mitchell Trubisky has improved during the curse of the season. To his credit, he has thrown for 3,223 yards, 24 TDs and rushed for 421 yards and 3 TDs. He has help too. Allen Robinson has a team leading 754 receiving yards and four TDs. Taylor Gabriel is right behind him with 688 yards receiving ad two TDS. The guys running the ball are Jordan Howard with 935 yards and 9 TDs and Tarik Cohen with 444 rushing yards and three TDs and 725 receiving yards and 5 TDs. Khalil Mak is the key on defense since a trade landed him there in September. Adding him made an already formidable defense even better. Sudefeld will be a go if Nick Foles cannot today. This will diminish the Eagles chances drastically. This will favor the Bears defense which is third in the league with 50 sacks and leads the league with 27 interceptions. There is a lot of pressure on the Eagles now that they have made the post season. The reigning Super Champs will have to put it all on the line to pull this one off. Chicago has not been in this position since 2010. Trubisky does seem to have trouble when throwing the long ball. 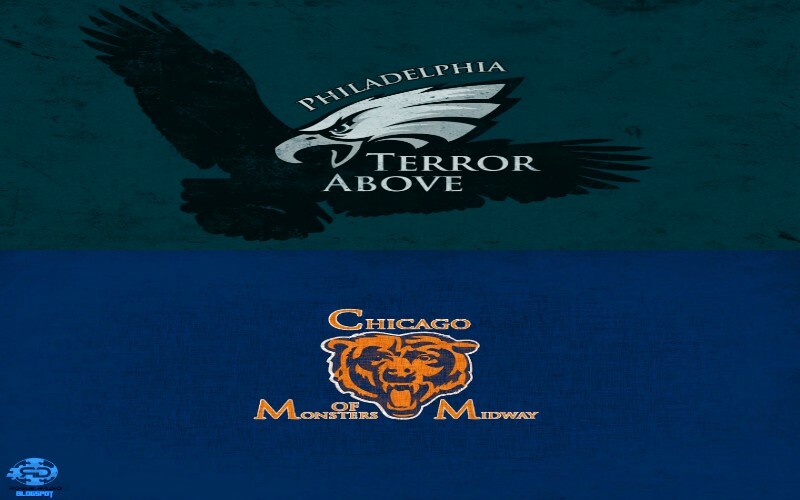 Hopefully, the Bears will exploit the weak secondary of the Eagles. This should give them the upper hand. Ok, let’s see who goes to the next round. Everyone is waiting there getting some rest and preparing for their time in the spotlight. Who did you pick for today’s games? Good luck to your teams and picks! If I am not mistaken, I went 13-3 for the last week of the regular season. I do not think I have ever chosen that well. Now, we are off to to the post season. Just a random question here, but do any of you think that this system of the playoffs could be used on the collegiate level? Ok, we will debate that on another day. Just wanted to see where everyone’s mind might be on that topic. There are two wild card games today. This will kick off the playoffs. It was a struggle for some. A few missed it by a hair. 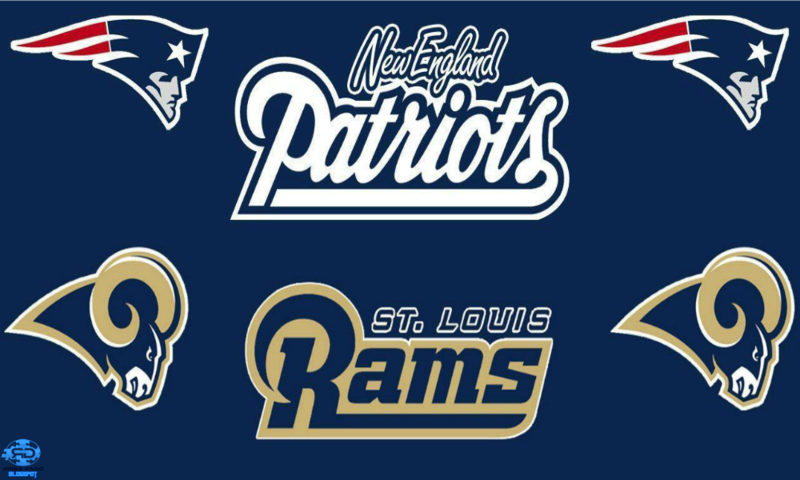 Nonetheless, the teams are set and seeded to see which two teams will ultimately play for the Lombardi in February. Who would have thunk it? The fact that the Indianapolis Colts would be in the playoffs, that is. Andrew Luck comes back after being out an entire season. Luck had a passer rating of 98.7 and a completion percentage of 67.3. Both stats are season career highs for the quarterback. He has also passed for 863 against the Texans this season which included six touchdowns. That is the third most yards against a single team in a season in NFL history. Protecting him is an offensive line that has only allowed for him to be sacked 18 times. In comparison, Deshaun Watson for Houston has been sacked 62 times. In addition, T.Y Hilton, Luck favorite target, has 314 yards receiving against the Texans. That is the most yards received against a single team in 2018. Darius Leonard on defense with his 111 tackles and 7 sacks on the season will give Watson a run for his money. This is the reason why Indy has been on a 9-1 run since starting out 1-5. Houston has a superstar in Deshaun Watson, who like Luck, is coming off of injury last year as well. He has managed to be the first player in NFL history to reach 4000 passing yards, 25 passing touchdowns, 500 rushing yards, and 5 rushing touchdowns in a season. Unfortunately, J.J. Watt and Jadeveon Clowney play on the defensive side of the ball, so protecting Watson has been a bit of a challenge. DeAndre Hopkins will be the force the Colts defense will need to stop. Indy managed to do so in the week 14 meeting. Limiting him to four catches for 36 yards. Over the two games versus Indy, Hopkins has only 14 receptions for 115 yards. 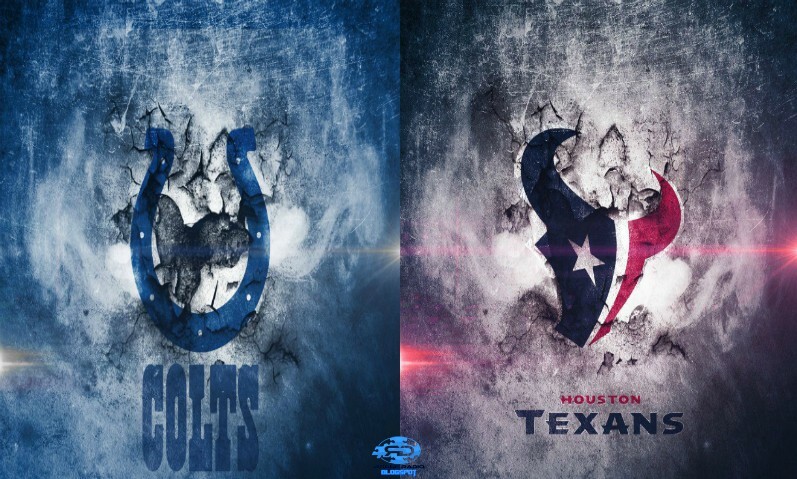 The Colts have split with the Texans this season. In Week 4, the Texans won 37-34 in overtime. That was the first win of the season for the 0-3 starting Houston team. 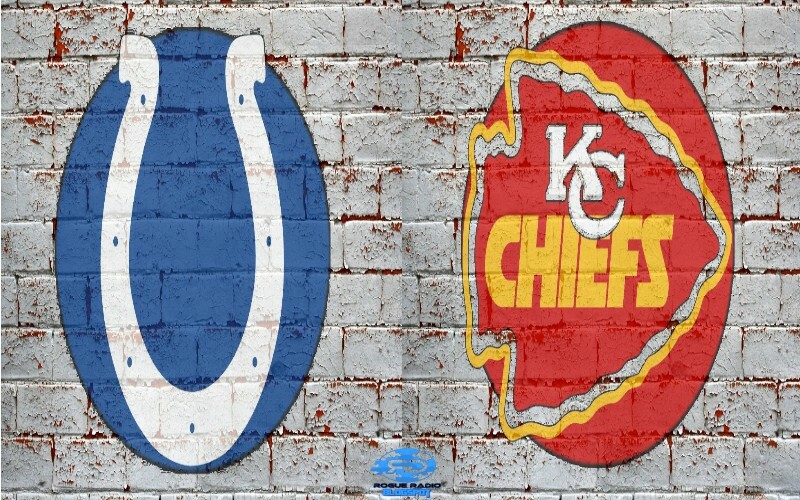 In week 14, the Colts won in regulation 24-21. That game ended the nine game winning streak that Houston was on. It will come down to turnovers and who is more focused. Such a tough game to choose. Indy is the Cinderella at this dance. They will not lose their glass slipper just yet. Here is another story of a Seattle team that was not exactly poised to be a playoff team. They were “rebuilding” after a team overhaul. Quarterback Russell Wilson has been nothing short of the magician that everyone is calling him. He has reached personal bests in touchdowns thrown (35) and a passer rating of 110.9. Even though Wilson is a mobile quarterback and is always a threat, Seattle also keeps the ball on the ground with the emergence of running back Chris Carson. He has 1,151 rushing yards and nine touchdowns on the year. There may not be a Legion of Boom any more, but the current defense is not too shabby. With DE Frank Clark and DT Jarran Reed leading the team in sacks and LB Bobby Wagner leading in tackles with 138, the Dallas offense will have a bit of a time trying to get pass them. There was some question as to whether or not Dallas could even smell the playoffs earlier in the season. They put together a string of wins to make a claim to the fourth seed on the NFC side of the draw. Dak Prescott does not boast as high a passer rating as his opponent, but has a team around him that has performed to make up for it. Ezekiel Elliott has rushed for 1,434 yards and six touchdowns and had 77 receptions for 567 yards. The newest addition, Amari Cooper, already leads the team with 725 yards receiving. Let’s not forget Cole Beasley adding 672 yards with 65 receptions. To match up defensively with Seattle, Dallas has DeMarcus Lawrence leading with 10.5 sacks and rookie Leighton Vander Esch with a season high 102 tackles. Do not count out Sean Lee who is the veteran leader on defense for the Cowboys. The Cowboys are great at home this season. What will that mean against a Seahawks team that has just as many playoff wins in the last three years? Nothing. Dak is not talented enough under pressure to command his team. Cracking under pressure is just not something you see too much from Russell Wilson. It would be ideal for Dallas to get a win here, but the experience of Wilson and Coach Carroll is unquestioned. For the first of the games of the playoffs, this is how I saw it. Anything to add? Who do you have moving on? It is so exciting to be getting to the post season already. This is the time when the stars will truly shine. Good luck to your teams and picks! Nothing of value at stake here. It has been rumored that Ryan Tannehill wants to be traded. He could be playing to audition for other teams. The Bills defense could have something to say about that. Jacksonville only let Miami score seven points last week. It is doable. Zero depends on this game. Atlanta appears to be playing well at the wrong time. Tampa Bay is just Tampa Bay. Just a rivalry game up for grabs here. Dallas cannot do any better than the fourth seed. The Cowboys have already won the division. Bragging rights are the only thing at stake here. If Dallas rests players, it is possible that New York will get this one. Dallas does not want any glitches in their matrix though. A win will be enough to ensure their playoff spot. A win or loss here by New Orleans does not change anything for them. This is also a situation where starters may be rested. This is not an advantage for Carolina. They will play their third string QB Kyle Allen against the Saints’ Teddy Bridgewater. Yeah, ok.
New England would like the first round bye if they can get it. The Jets will not make it easy, but Coach Belichick and QB Tom Brady are seasoned vets at this playoff thing. This may be a pretty exciting game. No question that Oakland is not playing for anything. Kansas City on the other hand has the number one seed at stake along with home field advantage. Their only other option is that the Los Angeles Chargers lose to the Denver Broncos. Perfect example of teams depending on other teams to get their spots. Will KC rest players like other teams? Even if they do, they should manage a win against a lackluster Raiders team. A win here will give the Houston Texans the second seed and a first round bye. A loss will give them the last wild card spot. Unless, the New England Patriots win against the Buffalo Bills. That would give the Patriots the second seed ad first round bye and move the Texans to the number three seed. Oh, it will not be an easy task against the Jaguars. Even though they have been eliminated from the playoff picture, they are not letting up. 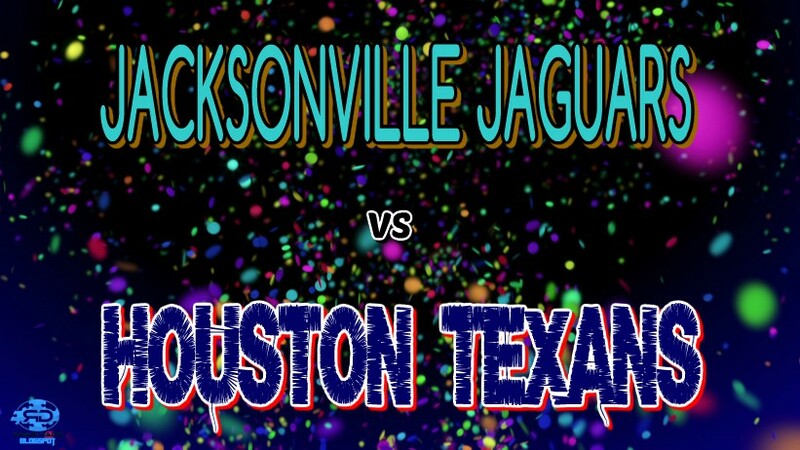 Houston’s defense will be much more productive than the Jags defense though. If that is the case, look for DeShaun Watson to make the offense happen against whoever the Jags will have starting today. Great division match up. Quite a few dollars on the field between Matthew Stafford and Aaron Rodgers. Packers playing at home. Who gets what draft slot is the only thing to play for here. Another division game to end the season. Philly needs to win and for the Minnesota Vikings to lose to keep their payoff dreams alive. Minnesota does play the Chicago Bears, so that could scenario could play out. Washington is just a mess right now. Nick Foles and the Eagles are going to take full advantage of that debacle. The Minnesota Vikings need to win and for Philadelphia to lose in order to keep the wild card spot. If the Vikes lose and Philly wins, then all bets are off. Chicago, on the other hand, needs to win to possibly secure the second seed and a first round bye, if the Los Angeles Rams lose, of course. Minnesota will be making the push at home to help their season along. Chicago would probably like nothing more than to be the only team representing to NFC North in the playoffs. Kirk Cousin’s offensive line will have to protect him against the awesome Bears defense. Not sure if the “will to make it to the post season” will be enough for the Vikes. That would be a disappointing end to the season for them. Cincinnati has been the worst. Losing Andy Dalton at QB to injury did not help. They were bad before that happened though. Pittsburgh had chances throughout the season to be in a better position than they are now. Now, they have to win and hope that the Baltimore Ravens lose to the Cleveland Browns. If the Ravens win, it is game over for the Steelers. Just win and pray for the rest to fall in place. Between Pittsburgh wanting this win and Cincinnati just wanting to finish the season, there should be no question that the Steelers will come out victorious. The AFC number one spot is up for grabs. Kansas City gets it if they win. Los Angeles will get it if they win and Kansas City loses. If the Chargers lose, it is a wild card spot for them. The Chargers have to get this win over a Broncos team that is better than their record would boast. Like many average teams, the Broncos cannot get out of their own way. Phillip Lindsay has to get going for them to stand a chance. L.A. should be able to stop him and get what they need for a win. Of course, there is nothing for the Cardinals to play for. The Seahawks have a decision to make. Since they are in no matter if they win or lose, it is who they may end up playing if they win or if they lose. 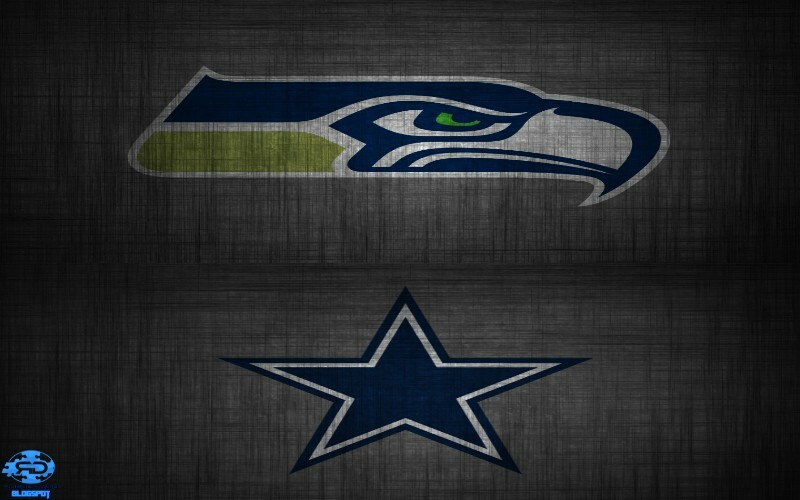 If they win, they will keep the fifth seed and play the Dallas Cowboys. If they lose, they could move to the sixth seed and, depending on what happens with the Vikings and Eagles, could potentially play the Bears or Rams. It would be in their best interest to get this win against the Cardinals. There should be no problems getting past Arizona. Arizona’s QB Josh Rosen is coming along, but not a match to Seattle’s QB Russell Wilson. Rookie QB battle here. This is for all the marbles for Baltimore. The Ravens need this win to move on. Just that simple. Or is it? Baker Mayfield has the Browns looking like a contender in the future. It is very possible they can spoil Baltimore’s chances at the post season. Lamar Jackson also has Baltimore looking like they belong in the post season. Does it not seem like Baltimore is in this position every year? Geez! The Ravens will depend on the elite defensive squad they have to cause turnovers and pressure Mayfield. The Browns defense can do that too though. Cleveland has been involved in some tight games that could have gone either way. This is gearing up to be the last one of the season. OK, so…this is the game of the day, honestly. The winner is in. Where they are seeded will depend on the Houston Texans. If the Texans win, the winner of this game gets the sixth seed. If the Texans lose, the winner of this game will win the division and get the third or fourth seed. Got all of that? Good. LOL! The Titans are at home, but which quarterback is starting? Marcus Mariota left the game last week with an injury to his right side. Enter Blaine Gabbert. He helped secure the win against Washington last week. The Colts defense is going to have to contain Derrick Henry who has been outstanding the last few weeks. Andrew Luck is also going to have to stay focused to lead this offense to a victory over the Titans like he did in week 11. Tennessee is not going to go down easy. They want in too! This will be a battle. Although the edge generally goes to the home team, this does not feel like one of those times. Truly folks, that is it for the regular season. Man! What a season it was! I hope everyone watched some great football this year. I know I did! Some of best games played came down to the wire. Love this game! Merry New Year to you all out there! Good luck to your teams and picks! HO! HO! WHOA! Some of those games were awesome yesterday! Getting into the post season is serious business. There were a few games that changed the scheme of things, but there is always next week. One more week and spots will be solidified. Put on your lucky hat or whatever ritual you have to will your team to a win. Tonight is not going to be a popular game, but Denver could use the win. Here is my Monday night selection. This should really be a quick pick, but let’s try to put a little substance behind it. Denver has a great defense. Case Keenum is also better equipped than Derek Carr to come out with a victory. It is not that Oakland has not had flashes of brilliance. It just that those flashes are flashes. The Oakland Project needs plenty of work to say the least. Denver woulda, coulda, shoulda. They are not contending for a playoff spot. They managed a block of wins late. They need a few pieces to put everything together again for next season. Next season. Yeah, that is what both of these teams are looking toward in a couple of weeks. That concludes the week for me. Did your team get gifts or coal? Just a reminder that everyone is not happy around the holidays, so reach out and spend time with those who seem down. Good luck to your teams and picks. Happy holidays to all my followers. ‘Tis the season!